January 3, 2013  The owner of the Deepwater Horizon rig where 11 men died in April 2010 has agreed to pay criminal and civil penalties to resolve Justice Department allegations over its role in the Gulf of Mexico oil spill. 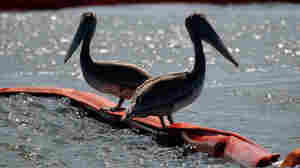 November 28, 2012  The federal agency cited BP's "lack of business integrity" in dealing with the 2010 Gulf oil spill. The London-based oil giant agreed to plead guilty to criminal misconduct in the case and also agreed to pay a record $4 billion in penalties. November 15, 2012  Some who live along the Gulf Coast say the $4.5 billion in criminal and civil penalties aren't enough. Local authorities will continue to press their cases. November 15, 2012  Eleven people were killed and one of the largest environmental disasters in history happened after an oil rig in the Gulf of Mexico exploded in 2010. 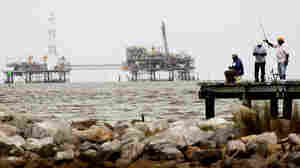 December 29, 2011  Justice Department prosecutors are considering the first such charges related to the worst offshore oil spill in U.S. history — a disaster that also killed 11 workers when an oil rig blew up. December 6, 2011  Halliburton, meanwhile, denies that allegation and accuses BP of fraud and defamation. The two companies are trading charges and blame for the nation's worst offshore oil spill — the April 2010 disaster in the Gulf of Mexico. October 17, 2011  Anadarko was a minority partner in the project to drill for oil at the Deepwater Horizon site. Eleven workers were killed when the rig exploded in April 2010, and the spill was one of the worst in U.S. history. October 4, 2011  Nearly 18 months after a disastrous oil spill killed wildlife and endangered businesses along the Gulf of Mexico, the federal government announces it will regulate not only the operators of offshore oil rigs, but the contractors who work on them, as well. September 14, 2011  The worst offshore oil spill in U.S. history started with an explosion and fire that killed 11 oil rig workers in April 2010. 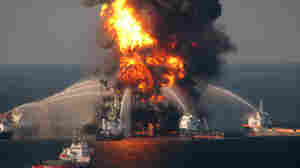 BP, investigators say, "was ultimately responsible for conducting operations" at the site. 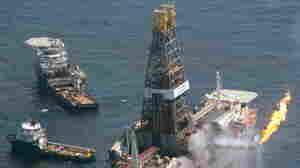 June 22, 2011  Transocean, the rig owner, BP made all the key decisions that led to the disaster. The British company has pointed the finger at many players. Who is ultimately judged to be responsible will be debated in court. 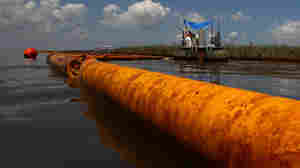 April 14, 2011  ProPublica and The Washington Post report that many people appear to have cashed in as BP spent billions in the year since the disaster in the Gulf of Mexico. But "others hurt by the spill ended up getting comparatively little." December 15, 2010  Attorney General Eric Holder says the government intends to prove that the companies are responsible for billions of dollars in costs and damages.